As we approach the midway point of the NFL season, we realize that fantasy playoffs will be upon us before we know it. For owners fighting for spots, leaders looking to hold on, and for those trying to just salvage a season, I am here with another dose of advice to help you in your leagues. So what did this past week bring us? Well, the Randy Moss tour continues with its latest stop in Tennessee, where he will join the Titans, and should be ready to suit up after this weeks bye. Shawne Merriman may have brought some needed pass-rush juice to the Bills when Buffalo claimed him off of waivers. Although, making any kind of crazy moves at this point of the season may be absurd, it is some good food for thought for the future perhaps. Anywho, here we are with week 9, and my Start Em/Sit Em article, the “Dear Abby” of fantasy football if you will. Time for the big dogs, the little puppies and the new kids to be featured. Read up people, it is crunch time! sit back, read and relax, and good luck in week 9. Rivers has been rolling of late, despite injuries to some key members of his offense. This week they face possible the weakest secondary in the league in the Houston Texans. Last week, with a key season match-up within reach, the Texans let Peyton Manning have his way, and now with a desperate Charger team coming in, Rivers is expected to do much of the same. It will be high scoring, so 3 from Rivers is quite possible. The once mighty Bears defense is still pretty decent at stopping the run, but doesn’t have much for the passing game. Fitz has been a nice mid-season pick up in most leagues, and gets his number, be it rushing or throwing TDs. 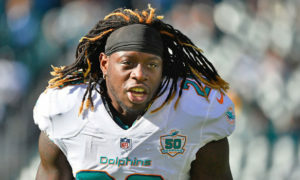 This is his campaign for a job next year, and at home, many think this may be the Bills best chance to get the first W.
I like to stay away from the totally obvious, and many may be asking why I go with Micahel Vick, after watching what the Colts defense did last week against Houston’s passing game. Vick is still one of the best improvising QBs in the league, his team is home and well rested after the bye, and he is healthy again. It is his job for now, and he would like to parlay it into a big paying job next year, how better then to beat Manning and the Colts. Upset in the making, maybe? Good day from Vick, certainly. Palmer has been struggling lately, after what was a decent fantasy start. Now he will host one of the leagues very best defense, who are fresh off a tough lost to the Saints. Palmer is just not mobile enough to elude this pass rush, and his team looks to be back to their old quitting ways. Get somebody else, anybody else. Yes, I am aware that the Bucs are a good team suddenly this year, but this match-up looks like one best kept to the running games. The Falcons at home are usually a quicker defense, and this Weeks game is crucial for positioning in the NFC. I still feel god about the Falcons being the better team, so this may be a tough week for the quickly improving Freeman. Overnight collapse? Maybe not that drastic, but something is wrong with Matt Schaub suddenly. Is it that his star WR Andre Johnson is still fighting a nagging ankle injury? Usually reliable TE Owen Daniels has been non-existent much this year, or that as neat as people think Kevin Walter and Jacoby Jones are, they are not a good enough supporting cast? Arian Foster and the ground game own this team right now, and it is going to take something huge from Schaub for owners to safely trust him. A hungry Chargers defense does not look like the cure for what ails. Jekyll and Hyde of the fantasy land is back from his bye week, and finds himself with an excellent match-up here. 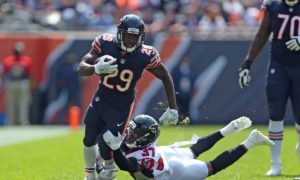 The Bills allow over 200 yards per week on the ground over the last 4 weeks, and when Forte gets hot, he can be real hot. Then again we have said this before and have been torched by “Evil Matt”. Not this week though people, get him in there and relax. McCoy is improving, and is becoming a top fantasy player. Yes, I know I told you to start Vick, and you should with McCoy too. He is the check down guy, the screen pass guy, and a good runner against a poor run defense. You have to agree that the Texans were much better served to try and run to the win Monday night. Teams can get on a ground roll vs. the Colts, plus it keeps Manning off the field. Yes, once again staying away from the obvious and giving you a dandy here. Green-Ellis is still the top back here, despite the neat things they do with Danny Woodhead. The Browns at times can make nice plays with the pass defense, so Green-Ellis could very well punch in 2 more TDs like he did last week. Many shutter the thought of Patriots RBs because of Tom Brady, but over the last few weeks, it has paid interesting dividends. Wells is starting to make his way as the lead back here, but 2 items scare me. First off he has swelling in his knee, which is never good news for a running back. Second, the Vikings still play good run defense. I don’t trust Wells or any Cardinal this week, outside of maybe Larry Fitzgerald, who makes his return home to where he was a former ball boy for the Vikes. The Cowboy secondary looked like Swiss cheese last week, but still did OK with Maurice Jones-Drew, so I worry about Jackson here. Some experts will say he is starting to come along, but not enough for tricky match-ups. Yes he is getting a few passes now, but he is never a first option here. Huh? Sit the Super Sleeper here? Yes, I think you shall. Hillis has had an amazing season, and is a bull to bring down, but the Patriots have been playing very good run defense of late. If Adrian Peterson does not bring the house down, why should we believe Hillis will? It looks to me like Bill Belichick is doing it again, and the Pats are just tough right now. Bad ankle? What bad ankle? Far and away the best option for Philip Rivers in the passing game and he leads the NFL with 9 TD catches. Every year he is the “do I dare trust a TE” on draft day, and every year his numbers are there. The Texans have a poor secondary, so you have to love Gates for at least 2 TDs here. Editor’s Note: Watch the injury report on Sunday. Gates reportedly sustained another injury last week. Donald Driver has vanished, and you can’t really trust James Jones that much, can you? Jennings has been coming to life lately and the Cowboys secondary is well beat up. If Mike Sims-Walker and David Garrard can have a field day, on the road nevertheless, with Dallas, why can’t Rodgers and Jennings? Is it that I just picked up Moore in one of my big money leagues? Well maybe, but Lance is getting hot right now. His numbers have improved 5 straight weeks now, and he banked a TD against the tough Steelers defense. Moore usually finds the end zone against the Panthers too, oh and you get the punt returns too. Lance is one of those “hit or miss” starts, but I like him this week as a hit. Wayne looks very different this year. Yes, I know he is talented, and has been doing OK, but this match-up does not look good. He will see a lot of Asante Samuel, who he knows well from the days of Pats/Colts, and will be outdoors in a cold, hostile environment. Wayne may be losing his top-tier edge, but we will soon see, he could make me look very foolish here, or he can make owners look that way. I urge you to be careful here. Randy Moss is gone, Sidney Rice is nowhere to be found, and Brett Favre is a mess. Yes it is real hard to bench Harvin, and maybe you won’t, but I would just like to let you know not to be disappointed by an off day here. 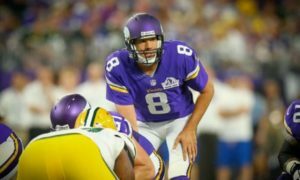 Teams now know he is by far and away the best option the Vikings have on the field, and he may see lots of heavy coverage do to it. OK I have to be real here, no one is sitting Johnson, unless they are stacked beyond belief, but truth be told, no WRs go wild on the Jets. They slow down the best, although “Mega-Tron” sure is a one of a kind. I love Calvin, but there is so much talent on this defense it is scary. The Packers could only muster 3 FGs, and they are a much more talented team then the Lions. How good did last weeks break out game look? Good enough to spell the end of the lead role for Cadillac Williams. Blount runs hard, and he is even seeing some passes now. He is a super pick up in what has been a tough year for free agents. Yes, it is rare for me to say start a guy, an also have him on the wire, but Moore was free in every league I am in this week. He is finding his niche, which he does around the same time every year, so get him, and roll those dice. Besides Marquis Colston is so 4 years ago. This may not be the best week for him, but rookie Jahvid Best suddenly seems human, and the Lions need some running game to stay competitive. Smith was always a decent fantasy option before his injury, and now he looks to be more active. If you need a gamble, take this one, he is one Best injury or fumble from being back in the swing. Now time for a new segment, I call it ” Dear Shark”. It is some questions I have heard or have been asked about week to week starts and plays and certain players. So here are some popular questions that need answers, check it out! Q: What do I do with Randy Moss now that he is a Titan? A: Great question here, I have Moss also and feel the pain here. He still is plenty talented, but his success depends on what QB plays. He can actually benefit more from Kerry Collins in my opinion. I would sit him the first week with the Titans, and see what you will get in the long run here. Q: In a tight situation, could I really start 2 RBs from the same team? A: It usually is fantasy hell to dream of this, but owners who have both Darren McFadden and Michael Bush gathered as much as 40 points from them in PPR leagues last week. Also Darren Sproles and Mike Tolbert are making a nice 1-2 combo. The question is being made popular by the Jamaal Charles/Thomas Jones share time, which is also profitable, but remember I won’t advise this unless you are in a pinch. Q: When do I give up on Larry Fitzgerald? A: Never. Yes the QB play is bad in Arizona, but this beast is always up for big games. Even a toss up from a blinded QB is worth it when Fitz is in the area. Q: What do i do about the Saints running back situation? A: Well, you monitor this like your check book. You check it every single free second you have, because it is a mess. Reggie Bush is close to returning, or is he? Pierre Thomas tries to practice every week, or does he? Right now they are the ultimate emergency plays. Stay away fro now, and wait until you see it go off, if ever. Well, that’s it for me for week 9. Next week I will bring you some mid-season grades and awards. Also I will be back with the usual start and sit. So go out there and play this week like it is your last fantasy game ever, and make it count. Good luck everyone!